“This year’s Startup Iceland, the 5th anniversary, is focused on helping startups better position themselves for scaling and growth, which is critical to the viability of Iceland’s business ecosystem," said Startup Iceland Founder Bala Kamallakharan. Startup Iceland, the annual international entrepreneurs’ conference taking place in Reykjavik, Iceland May 29- 31, 2016, is proud to celebrate its fifth anniversary with a remarkable speaker and mentor program focused on helping startups scale globally. The three-day conference is for Icelandic and international startup founders, entrepreneurs, venture capitalists, and angel investors. The conference speaker program takes place at Harpa Conference and Event Center on 30 May 2016. His Excellency President Ólafur Ragnar Grímsson will open the event and US Ambassador to Iceland Robert C. Barber will give a keynote address before some of Iceland’s most promising startups take the stage. “Jónsi” Jón Jósep Snæbjörnsson will serve as the event master of ceremonies introducing the prominent Icelandic and international entrepreneurs, investors, government officials and members of the media. International speakers will include Ingrid Vanderveldt, Founder & Chairman of Empowering a Billion Women by 2020 (EBW2020); Mark Solon, Managing Partner, Techstars; Jenny Fielding, Managing Director, Techstars; Jud Valeski, CTO of Techstars; Andrew Carmody, Strategic Advisor, Digi.me and President, ViewersLogic; Scott Caruso, CEO, PureColor, Inc.; and Mikko Järvilehto, Executive Producer, Ultrahack. 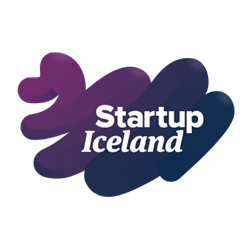 Special thanks to Startup Iceland sponsors: Icelandair Group, Haskólinn Reykjavík, Vodafone, The US Embassy of Iceland, Nýsköpunarsjóður, Frumtak Ventures, Deloitte, Microsoft, Federation of Icelandic Industries, Promote Iceland, Marel and Innovation Center Iceland. During the Ultrahack Tournament teams have a chance to win awesome prizes, earn investments and take their skills to a whole new level. This year, Ultrahack expands to Nordic and Central European capitals with the hottest tech startup scene events in Reykjavik, Helsinki, Prague, Oslo and Copenhagen. The high point of Ultrahack 2016 Tournament will be the Ultrahack finals, a 48 hour hackathon held at Vallilan Konepaja Bruno, in Helsinki on 25-27 November 2016.